Whether you are looking for residential or commercial attic services, our local expert team can offer you all the advice you need to improve the air quality in your property while keeping these spaces clean and well insulated to reduce energy bills. If a pest or rodent infestation has occurred in your attic, you will need to have the entire space decontaminated to avoid any health hazards. By disinfecting your attic, you will also benefit from enhanced quality because this process eliminates bacteria that may be living in your space. Our team of experts will remove any droppings that contain diseases and will make sure to eliminate any unpleasant odors as well. By keeping your crawl space well insulated and free of any pesky rodents, you can save money on energy bills while being sure that your living space is free of any bacteria or viruses. We provide complete crawl space insulation services to help maintain your family's health, provide you with better air quality, and also reduce the level of toxins inside your home. 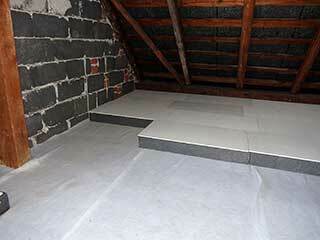 Old attic insulation is often inefficient, which means that your energy bills may be higher than they need to be. Moreover, if the insulation in your property looks filthy, this can be a sign that you had rodents or other types of pests in your home, which may lead to an unhealthy living environment. By removing old and dirty insulation and replacing it, you can ensure that your property is clean and the quality of air your family breathes is of the highest standards. Get in touch with Attic Cleaning Hayward today and we'll make sure that your attic is well maintained!